Where can you stream Killing Eve? On 2018-04-08 Crime/Drama TV Series Killing Eve first aired on BBC America. 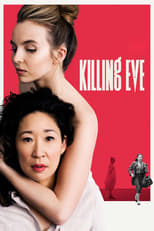 Written and created by Phoebe Waller-Bridge, and produced by Sid Gentle Films, Killing Eve will return and was last broadcasted on 2019-04-14.